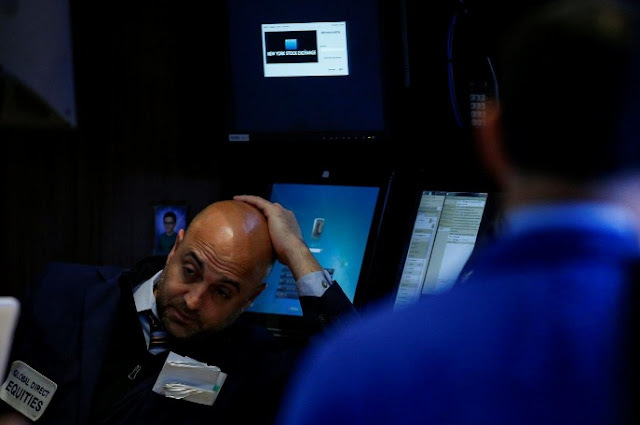 The S&P and Dow clawed back earlier losses to trade little change on Thursday morning, helped by a jump in energy stocks as oil prices jumped, but the Nasdaq was kept lower by a drop in consumer discretionary shares. U.S. stocks opened lower after a Labor Department report showed consumer prices rose more than expected in August, boosting the odds of another interest rate hike this year. The consumer price index’s (CPI) 0.4 percent gain last month was its biggest in seven months and is the last major economic data to be released ahead of the Federal Reserve’s Sept. 19-20 policy meeting. The firming in inflation, along with a weekly jobless claims report that showed the labor market stays near full employment, could cause the Fed to consider raising rates for a third time this year in December. “I don’t think the market was expecting that kind of a strength in terms of inflation,” said Victor Jones, director of trading at TD Ameritrade. After the data was released, the odds of a hike in December rose to top 50 percent for the first time since July, from 41.3 percent, according to CME Group’s FedWatch tool. At 10:57 a.m. ET, the Dow Jones Industrial Average was up 10.64 points, or 0.05 percent, at 22,168.82 and the S&P 500 was down 2.21 points, or 0.09 percent, at 2,496.16. The Nasdaq Composite was down 14.38 points, or 0.22 percent, at 6,445.81. The energy index’s .SPNY 0.94 percent rise led the gainers as U.S. crude CLc1 hit $50 per barrel for the first time since Aug. 10 on a bullish demand forecast by the International Energy Agency. Helping the Dow stay in positive territory was Boeing, which rose 1.3 percent after Deutsche Bank raised its price target on the stock. The consumer discretionary index .SPLRCD was down 0.33 percent, led by declines of 0.7 percent to 0.9 percent in Amazon, Disney and Charter Communications. Equifax tumbled as much as 8.9 percent to its lowest level since February 2015 after the Federal Trade Commission opened a probe into the company’s massive data breach. Advancing issues outnumbered decliners on the NYSE by 1,416 to 1,302. On the Nasdaq, 1,353 issues fell and 1,323 advanced.